In a path breaking judgment Gauhati High Court has ruled that the 1963 executive order under which the CBI was formed is unconstitutional, and that an act should have been passed for the purpose. Justice Ansari who wrote the Judgment started the Judgment with Thomas Jefferson’s famous words “When the people fear the government, there is tyranny. When the government fears the people, there is liberty”. The Court formulated the following questions for consideration. (i) Whether ‘Central Bureau of Investigation’, popularly called CBI, is a constitutionally valid police force empowered to ‘investigate’ crimes? (ii) Could a ‘police force’, empowered to ‘investigate’ crimes, have been created and constituted by a mere Resolution of Ministry of Home Affairs, Government of India, in purported exercise of its executive powers? (iii) Could a ‘police force’, constituted by a Home Ministry Resolution, arrest a person accused of committing an offence, conduct search and seizure, submit charge-sheet and/or prosecute alleged offender? (iv) Whether CBI is a ‘police force’ constituted under the Union's Legislative powers conferred by List I Entry 8? (v) Do Entry 1 and 2 of the Concurrent List empower the Union Government to raise a ‘police force’ and that, too, by way of Executive instructions of Union Home Ministry? (vi) Whether Delhi Special Police Establishment Act, 1946, empowers the Union Home Ministry to establish a ‘police force’ in the name of CBI? (vii) Above all, is it permissible for the Executive to create a ‘police force’ with power to ‘investigate’ crimes in exercise of its executive powers, when exercise of such a power adversely affects or infringes fundamental rights embodied in Part III of the Constitution, particularly, Article 21? The Division Bench was considering an appeal against judgment dated 30-11-2007, passed, in Writ Petition (Civil) No. 6877 of 2005, by a Single Judge dismissing the writ petition. The Writ Petition had sought for, inter alia, (i) quashing of the impugned Resolution No. 4/31/61-T, dated 01-04-1963, whereunder the Central Bureau of Investigation stands established, as ultra vires the Constitution of India and (ii) quashing of the criminal proceeding/prosecution, which originated from the FIR/RC No. 39(A)/2001/CBI/SIL and is presently pending against the petitioner, in the Court of Special Judge (C.B.I), Assam, at Guwahati. In the writ petition, It was contended that the CBI is not a statutory body, the same having been constituted not under any Statute, but under an Executive Order/Resolution No. 4/31/61-T, dated 01-04-1963, of the Ministry of Home Affairs, Government of India, According to the Writ Petitioner, police is a State subject within the scheme of the Constitution of India inasmuch as it is only a State Legislature, which, in terms of Entry No. 2 of List-II (State List) of the Seventh Schedule to the Constitution of India, is competent to legislate on the subject of police and, therefore, the Central Government could not have taken away the power, which so belongs to State legislatures, and create or establish an investigating agency, in the name of CBI, adversely affecting or offending the fundamental rights, guaranteed under Part III of the Constitution of India. 1) If a Pre-constitutional law was made on a subject, which is, now, covered by State List, whether the law will be valid after the Constitution has come into force bearing in mind Article 372? 2) Whether a law can be made by Parliament, on a subject covered by the State List, in respect of a Union Territory, after the Constitution has come into force? 3) The Executive power of the State is co-extensive with its legislative power. Is it, therefore, possible to constitute an investigating agency by a State taking recourse to State’s executive Power ? 4) Delhi was a Part-C State under the Govt. of India Act. On coming into force of the Constitution, it was made a Union Territory and it has, now, the status of a State, but some of its powers, under the State List, are exercised by Parliament. The Court wants to know details of the legislative history of the present status of Delhi, as a State, and its legislation making process. (i) INVESTIGATION AND ANTI-CORRUPTION DIVISION. (iii) CRIME RECORDS AND STATISTICS DIVISON. (v) LEGAL DIVISON & GENERAL DIVISION. The Charter of function of the above-said Divisions will be as given in the Annexure. The assistance of the Central Bureau of Investigation will also be available to the State Police Forces on request for investigating and assisting in the investigation of interstate crime and other difficult criminal cases. The Court held that “the Parliament cannot, by taking resort to Entry 8 of List I (Union List), make any law empowering a police officer to make ‘investigation’ in the same manner as is done, under the Criminal Procedure Code, by a police officer, while conducting an ‘investigation’ into an offence for the purpose of bringing to book an offender. The impugned Resolution, dated 01.04.1963, constituting the CBI, as an investigating agency, in order to carry out ‘investigation’ into commission of offences in the manner as is done by a police officer under the Criminal Procedure Code, cannot be traced to Entry 8 of List I (Union List). A careful reading of the preamble to the DSPE Act, 1946, would make it evident that the DSPE Act, 1946, has been made for the ‘Union Territories’. This legislative power cannot be exercised by the Parliament except under Art 246 (4), which enables Parliament to enact laws on subjects, covered by List II (State List), in respect of Union Territories. Entry 80 of List I (Union List) merely enables the Parliament to extend the operation of police force of one State to another. However, Entry 80 of List I does not empower the Parliament, far less the Central Government, to enact a law creating a separate police force for the purpose of ‘investigation’ into a crime preparatory to the filing of charge sheets. What Entry 80 of List I permits is only making of provisions of ‘extension’ of a valid law governing activities of police of one State to have jurisdiction in any other State with, of course, the consent of the other State concerned”. Regarding the validity of DSPE Act, 1946, the Court said it is not required to determine the constitutional validity of the DSPE Act, 1946. Irrespective of the fact as to whether the DSPE Act, 1946, is valid or not, the clear conclusion of this Court is that the CBI is not an organ or part of the DSPE and that the CBI has not been constituted under the DSPE Act, 1946. In the face of these conclusions, it would be merely an academic exercise if we try to determine whether the DSPE Act, 1946, is or is not a valid piece of legislation. The Court while declined to hold and declare that the DSPE Act, 1946, is not a valid piece of legislation, held that the CBI is neither an organ nor a part of the DSPE and the CBI cannot be treated as a ‘police force’ constituted under the DSPE Act, 1946. It set aside and quashed the impugned Resolution, dated 01.04.1963, whereby CBI has been constituted. 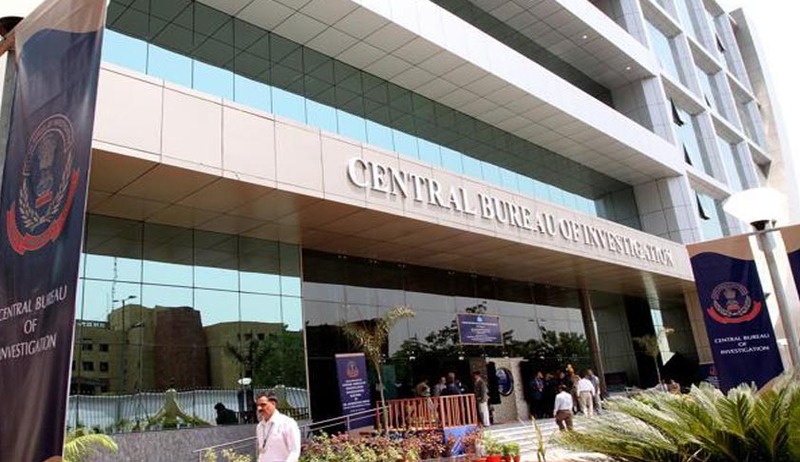 The Court also set aside and quashed the impugned charge-sheet, submitted by the CBI, against the appellant however, made it clear that quashing of the proceedings, pending in the CBI Court, would not be a bar to any further investigation by police having jurisdiction over the subject-matter. This order will cast a cloud on some of the high-profile CBI cases, including Coalgate, being monitored by the apex court. Infact many CBI cases are being monitored by the apex court and High Courts often ask the agency to undertake investigations. It will be interesting to see the reactions of CBI officials, lawyers and constitutional law experts, on this ruling.